Ryan Christopher Rodems was born in Buffalo, New York, in December 1966 and moved to Lakeland, Florida, in 1973. Mr. Rodems has been a member of the Florida Bar since 1992 and is admitted to practice in the U.S. District Court, Middle District and Southern District of Florida and the U.S. Court of Appeals, Eleventh Circuit. Mr. Rodems is also a member of the Unites States Supreme Court Bar. Mr. Rodems graduated from the University of Florida with a Bachelor of Sciences degree in Business Administration, and from the Florida State University College of Law, where he was a member of the Florida State University Law Review from 1990-1992. In 1991, Mr. Rodems interned with the Florida Tenth Judicial Circuit State’s Attorney’s Office. In 1992, Mr. Rodems interned with then-Chief Justice Leander Shaw, of the Florida Supreme Court. Mr. Rodems is Board Certified by the Florida Bar in Civil Trial law, and has extensive trial experience, representing clients in actions involving automobile accidents, injuries in retail and other public places, and in lawsuits arising under the Americans with Disabilities Act, the Family and Medical Leave Act, the Florida Civil Rights Act, ERISA, and has complex litigations and class actions. Prior to joining Morgan & Morgan, Mr. Rodems obtained several noteworthy verdicts, including a $2,214,002.80 outcome in the Title VII case, EEOC and Dena Zechella v. The Outback Steakhouse, Inc. His record of success for his clients includes a $835,414 verdict in the employment discrimination case, Guadalupe Juarez v. Tornado Bus Company; a $587,770.86 verdict in the employment discrimination case, Stephen T. Irwin v. Raytheon Company; a $141,687.50 verdict in the breach of contract and fraudulent inducement case, Jeffrey Friedlander v. Complete Wellness Centers, Inc.; and a $122,600 verdict in the first amendment case, Cynthia Morris v. Lawrence W. Crow, Jr.
Additionally, Mr. Rodems has obtained a $90,947.68 verdict in the negligence case, Rasheid Simmons v. Orlando Predators; a $77,500 verdict in the workers’ compensation retaliation case, Joanne Cuonzo v. GTE Directory Sales, Inc.; and a $35,000 verdict in the property damage case, Brieson Corp. v. Brownstone Industries, LLC. Mr. Rodems is also coauthor of two books, Florida Practice Handbook, Workers’ Compensation with Forms, Volumes 1 and 2, 1995 and Florida Practice Handbook, Motor Vehicle No-Fault Law, 1998. Mr. Rodems has been an adjunct instructor at Hillsborough Community College, where he taught Business Law I and II. 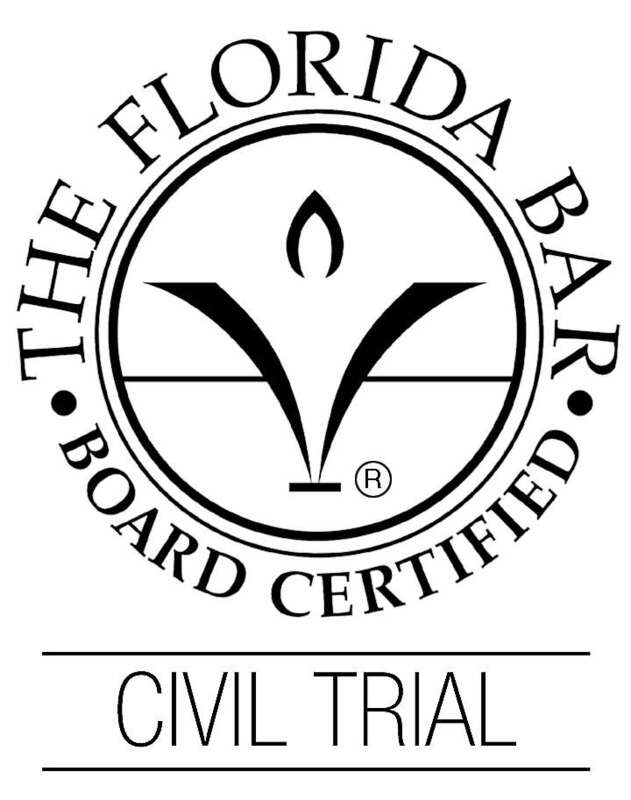 Mr. Rodems has also lectured for the Florida Association of School Board Officers, the Hillsborough County Bar Association Public Law School, the National Safety Council, and the American Liver Foundation, Gulf Coast Chapter. He has also lectured on the topic of ethics for lawyers through Lorman Business Services. Mr. Rodems has also received the highest rating of “AV” by Martindale Hubbell, the preeminent lawyer review service which bases its ratings on confidential opinions of members of the bar. Mr. Rodems joined Morgan & Morgan, P.A. in January 2014. Randall E. Hendricks, Jr. v. Lonny Drew and Everwood Treatment Co., Inc.